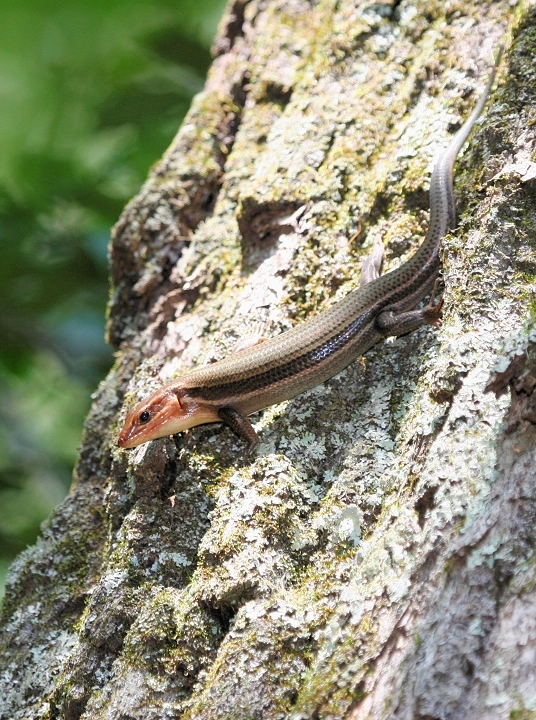 Above: A Broad-headed Skink in Charles Co., Maryland (7/9/2006). This beauty was about 12" long (4" longer than your largest adult Five-lined), and fled to over 20' in a tree. Five-lineds are almost completely terrestrial and should not venture far above the lowest reaches of the trunk. 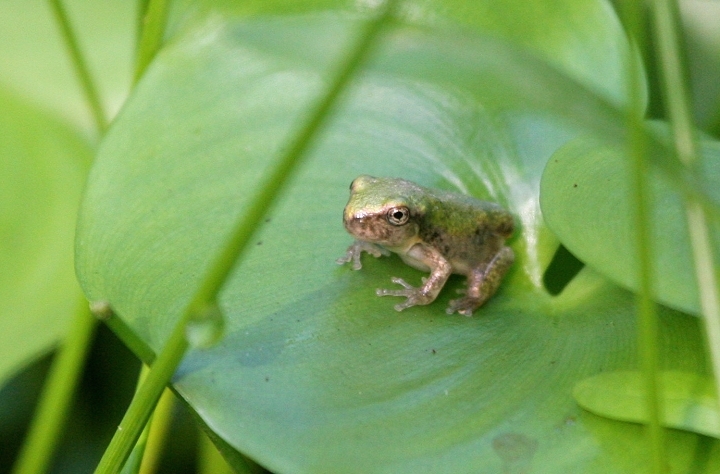 Below: What I'm 99% sure is a young Upland Chorus Frog in Charles Co., Maryland (7/9/2006). 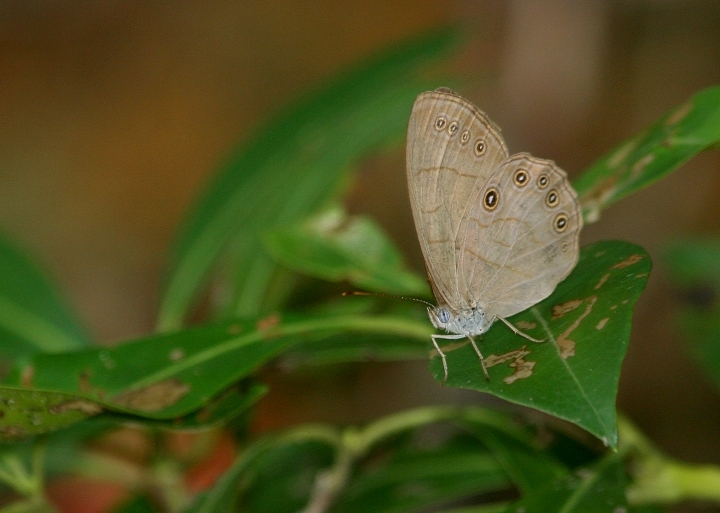 Below: An Appalachian Brown in Charles Co., Maryland (7/9/2006). 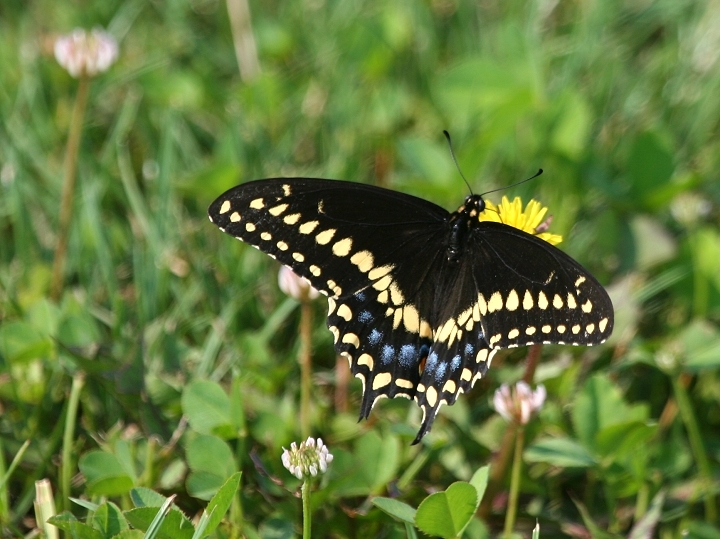 Below: A male Black Swallowtail in Charles Co., Maryland (7/9/2006). 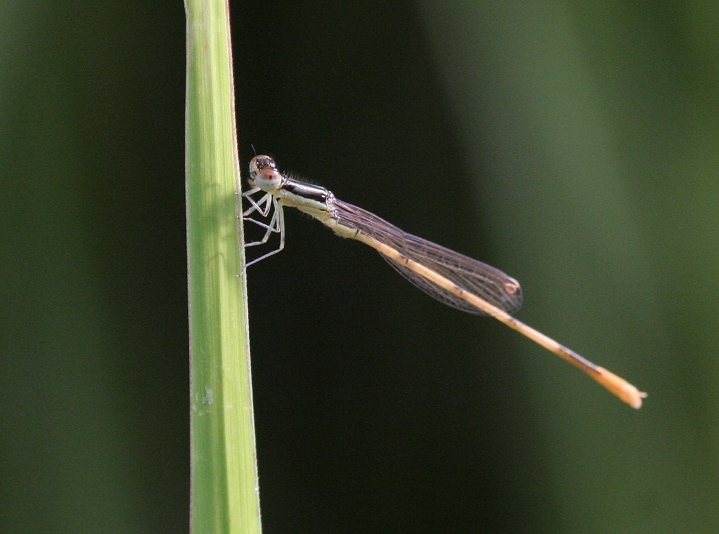 Below: A Citrine Forktail in Charles Co., Maryland (7/9/2006). 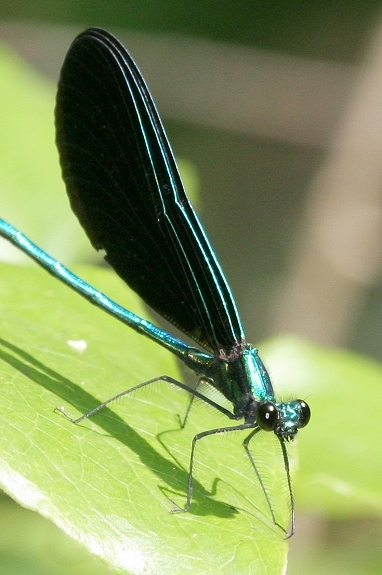 Below: An Ebony Jewelwing in Allegany Co., Maryland (7/15/2006). 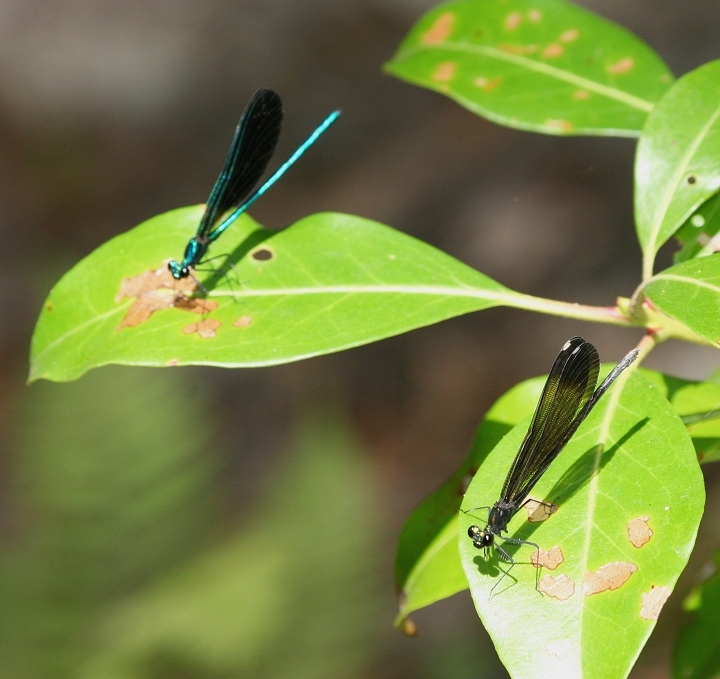 Below: A pair of Ebony Jewelwings in Charles Co., Maryland (7/15/2006). 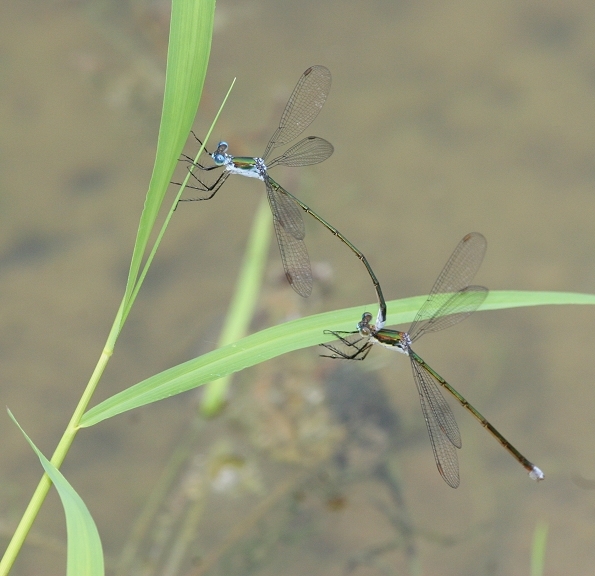 The male shown in back is a much brighter green, while the female, at front, is tinted brown with white pseudostigmas. 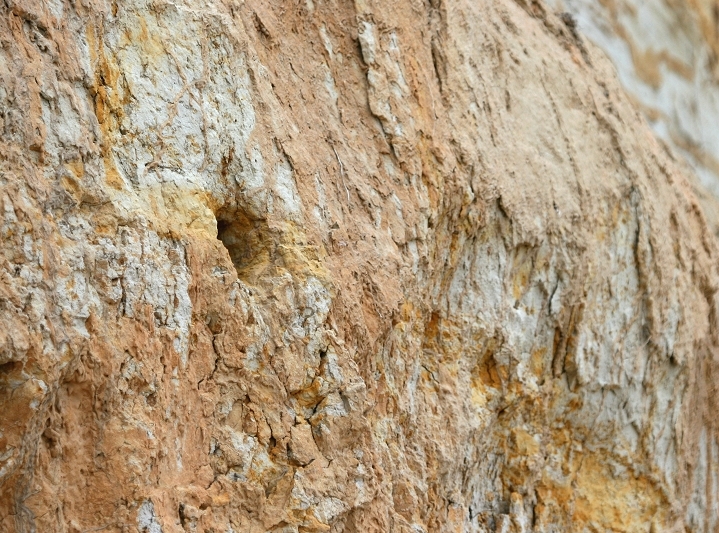 Below: A Northern Rough-winged Swallow nesting cavity in Calvert Co., Maryland (7/9/2006). 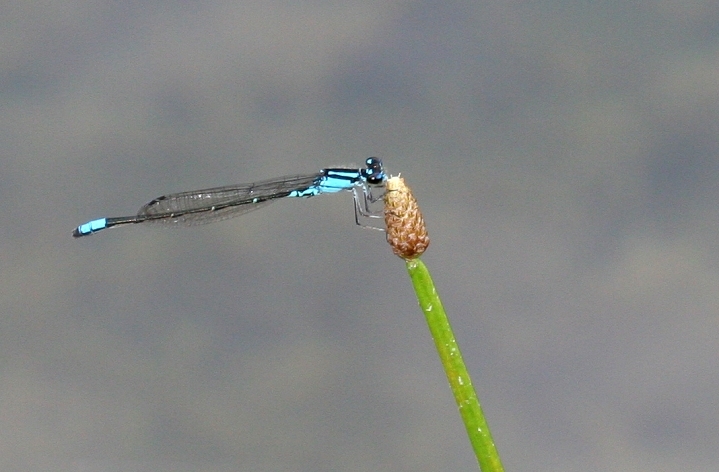 Below: A Skimming Bluet in Allegany Co., Maryland (7/15/2006). 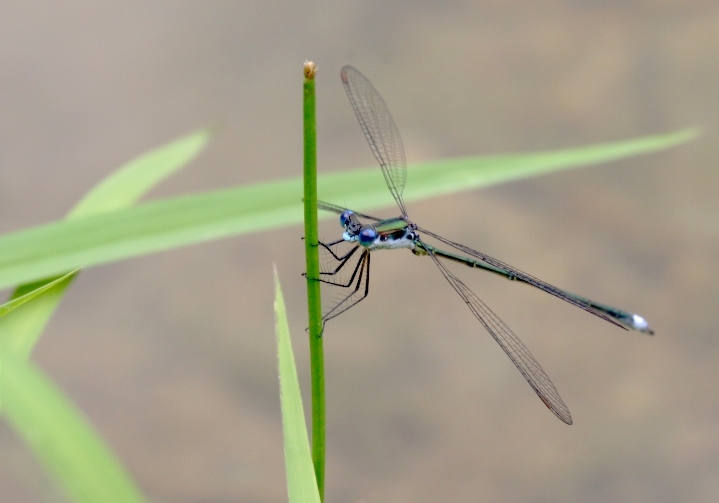 Below two: Swamp Spreadwings in Allegany Co., Maryland (7/15/2006). 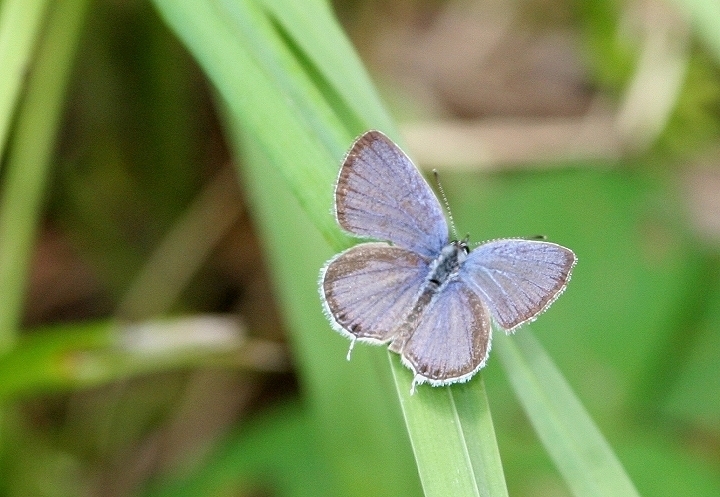 Below: An Eastern Tailed Blue in Allegany Co., Maryland (7/15/2006). I called this one an azure before seeing the tails. Oops! 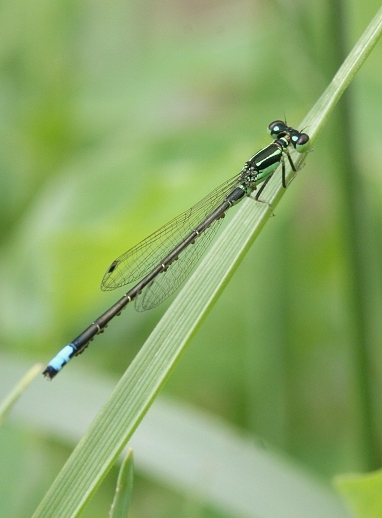 Below: An Eastern Forktail in Allegany Co., Maryland (7/15/2006). 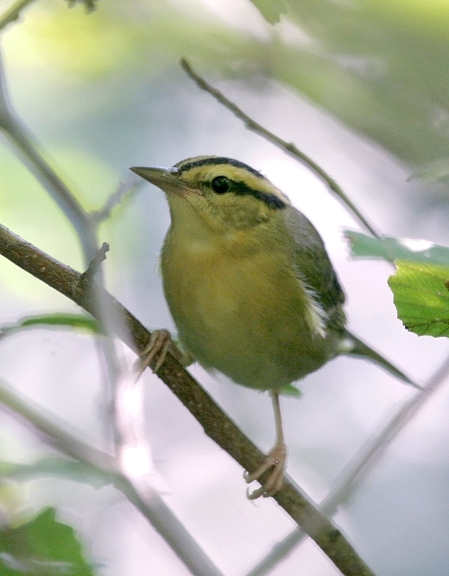 Below: A Worm-eating Warbler in Allegany Co., Maryland (7/16/2006). 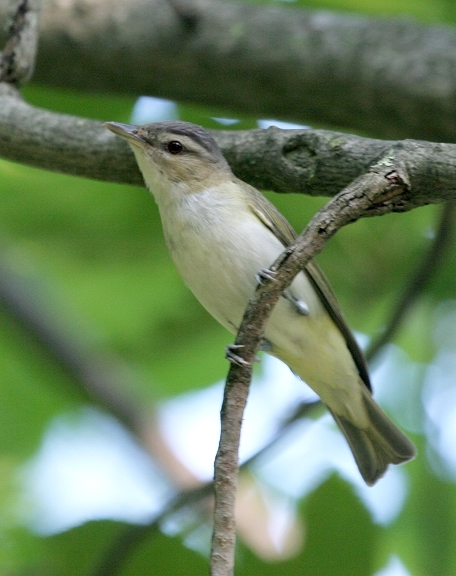 Below: A Red-eyed Vireo in Allegany Co., Maryland (7/16/2006). 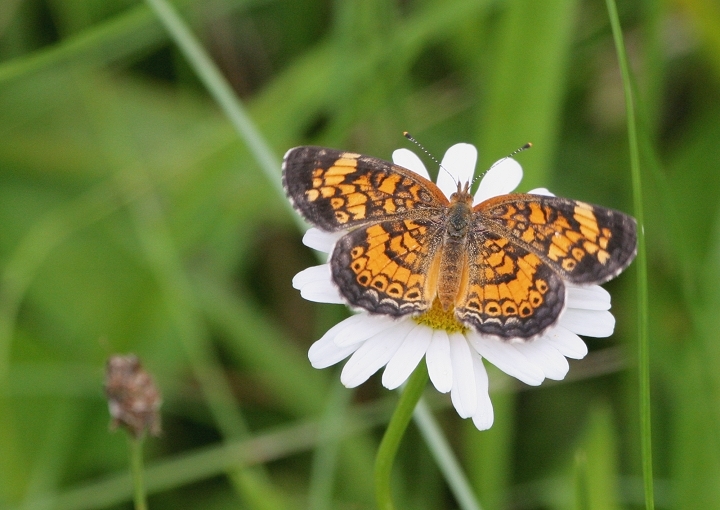 Below: A Pearl Crescent in Allegany Co., Maryland (7/15/2006).